What is the Moto G6? The Moto G6 comes from a prestigious lineage of handsets that offer more bang for your buck than most other smartphones in the same price range. The G6 looks to follow suit with its combination of pleasing aesthetics, timely hardware improvements and serious affordability. 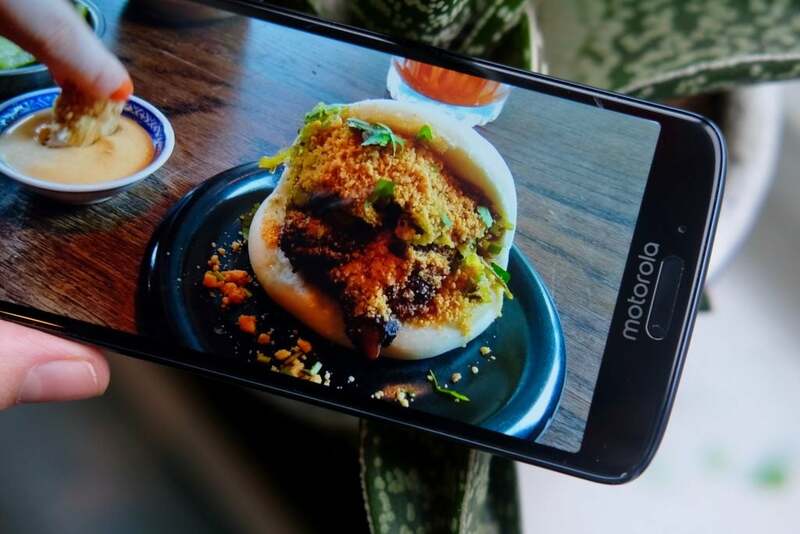 Starting at just £220, Motorola gives you an Android smartphone with all the latest mod-cons, like a 5.7-inch 18:9 display with an extended Full HD resolution. The fingerprint sensor functionality from previous Motos remains but now you have the option of face unlocking too. USB-C fast-charging is now on-hand as is a new pair of rear snappers set within the phone’s beautiful glass and metal construction. 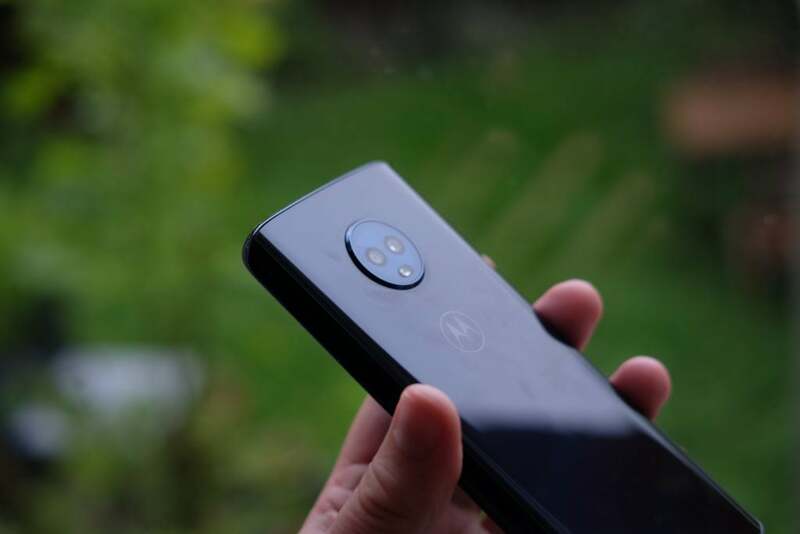 If that all sounds enticing save for the price, Motorola also launched the more affordable Moto G6 Play, which swaps glass for plastic bodywork and includes a lower resolution camera. In the other direction, you can pick up the more sizeable Moto G6 Plus with a beefier hardware setup and a more robust camera for a touch more money. Fitting in with the 2017/2018 smartphone crowd, the Moto G6 totes an extended 18:9 aspect ratio display, resulting in a taller, narrower body than previous entries in the Moto G family. It makes for a more comfortable fit in the hand without sacrificing screen real-estate and as such it’s still great for watching videos on the go. It’s svelte form also carries across to its thickness, or rather, thinness; with a slimmer silhouette that more readily slips into your pocket. Reassuringly, Motorola also appears to have made this Moto hardier than its predecessors. Despite the glass design, there’s a sturdy metal frame running the phone’s edge and the back is hewn from curved Gorilla Glass. Placing it side by side with the predominantly plastic-bodied Moto Gs of old, there’s no competition. There’s a whiff of Samsung Galaxy S9 about the design too – never a bad thing – but the Moto G6 feels lighter. A nicely bevelled power button sits on the side and it’s flanked by a clicky volume rocker. A USB-C port and headphone jack (it’s still there!) can be found along the bottom. Below the display is a long and thin fingerprint scanner/home button and a slightly unnecessary Motorola logo. The Moto G6 lacks any water-resistance, however, there’s an added coating that offers some resistance against splashes and rain. Just don’t expect this to protect against an accidental dunking in a bath. Handsets in this price-range often sacrifice a good display to try to keep costs down. However, when you consider the length of time we spend glued to our phone screens, I’d much prefer a quality screen over, say, a few extra gigabytes of RAM and greater internal storage. Thankfully, the Moto G6’s display is very good. The 18:9, 5.7-inch IPS LCD panel is taller than that featured on the Moto G5, and to fill the extra space resolution has been bumped up slightly from FHD to FHD+. At this size, you’re unlikely to notice the difference between this and a QHD+ toting display – unless you get in super-close, that is – and we’re yet to see OLED panels really impress at this end of the market. That high resolution makes for detailed reproduction of images and videos, with individual pixels that are impossible to spot. Combine this with the super-wide display and the Moto G6 is great for watching Netflix and YouTube. It isn’t the brightest screen around; you’ll want either to enable auto-brightness or manually jack it up in the settings panel to improve outdoor visibility. Viewing angles are surprisingly good, however. Another slight niggle is that by default the screen is a little on the cool side: whites take on a slight blue hue; it just feels a little cold. However, whether or not this is an issue is a matter of personal preference, rather than there being something wrong with the display. If it annoys, I’d recommend you head into settings for a fiddle. 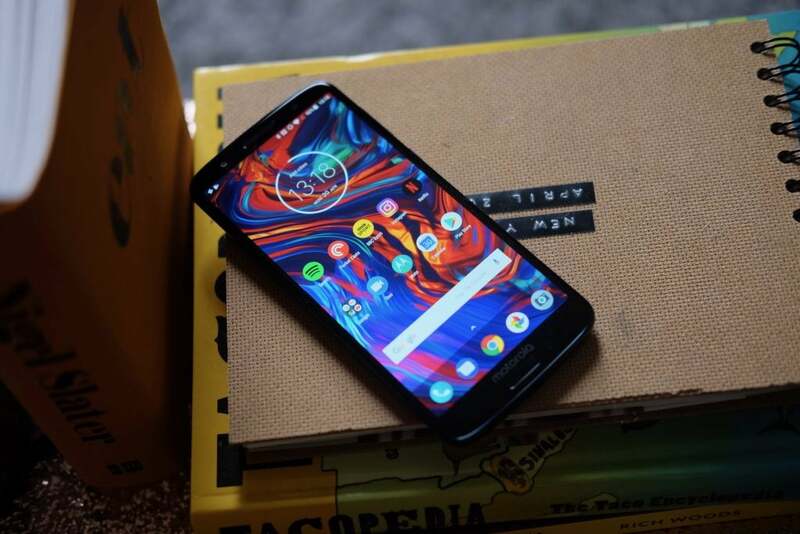 The post Moto G6 appeared first on Trusted Reviews.